Asia Cup 2018 Bangladesh vs Sri Lanka Live Streaming: Bangladesh will take on Sri Lanka in the opening match of the Asia Cup 2018 on Saturday at the Dubai International Cricket Stadium in the United Arab Emirates (UAE). Both teams are placed in Group B of the tournament along with Afghanistan. Bangladesh have reached the final of the tournament on two occasions in the last three editions and have thus surprised all. Meanwhile, Sri Lanka’s performance in the past two-three years has declined dramatically following the exit of some big names and thus the tournament will serve as the perfect platform to win some pride back. Both the teams have their injury issues. For Sri Lanka, after Dinesh Chandimal was ruled out of the Asia Cup, they suffered another big blow with opening batsman Dhanushka Gunathilaka also being ruled out of the tournament. 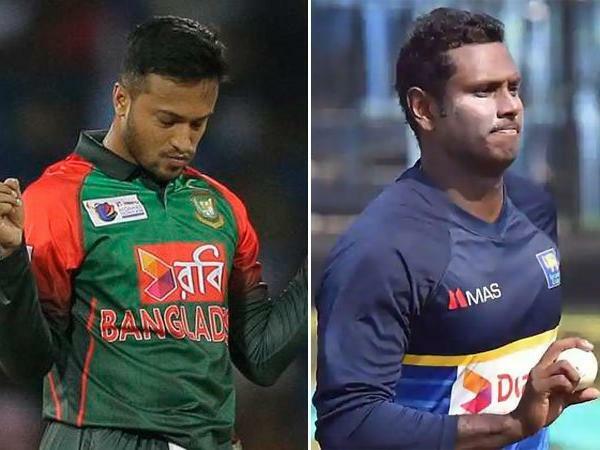 For Bangladesh, Shakib Al Hasan needed a surgery on a finger in the left hand but has decided to delay that until the conclusion of the Asia Cup. Tamim Iqbal has a swollen right ring finger while the off-spinner Nazmul Hossain is nursing an injury in his bowling hand. When will the Asia Cup 2018 Bangladesh vs Sri Lanka match be played? The Asia Cup 2018 Bangladesh vs Sri Lanka match will be played on September 15, 2018. Where will the Asia Cup 2018 Bangladesh vs Sri Lanka match be played? The Asia Cup 2018 Bangladesh vs Sri Lanka match will be played at the Dubai International Cricket Stadium. What time does the Asia Cup 2018 Bangladesh vs Sri Lanka match begin? The Asia Cup 2018 Bangladesh vs Sri Lanka match will begin at 5 pm (IST). Which TV channels will broadcast the Asia Cup 2018 Bangladesh vs Sri Lanka match? How do I watch online live streaming of the Asia Cup 2018 Bangladesh vs Sri Lanka match? The Asia Cup 2018 Bangladesh vs Sri Lanka match live streaming will be available on Hotstar.